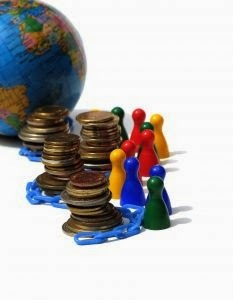 Moneycation: Is the world economy stable or teetering on the edge? Is the world economy stable or teetering on the edge? We all seem to think that the economy is getting to a much more stable position 5 years on from the disaster of 2008 but whether that is the case remains to be seen. I honestly believe we the people are in no better or worse position now that in 2008, yes the world economy is much more stable but as a whole the prosperity levels of the world have if anything decreased. We are all feeling the pinch, university fees have gone up, tax has remained the same and jobs are still extremely hard to come by. I appreciate the government is in a position that is un-enviable to say the least but surely it isn’t difficult to accept the fact that this isn’t going to be solved overnight and stop filling us all with un-supportable promises. Chins is currently experiencing a period of economic uncertainty, there are so many countries out there that are in a much worse position but it is more frightening when you hear of the traditionally strong Chinese economy levelling out a little. This was something that was always going to happen in my opinion, the economy of China has grown consistently for many years now and it was inevitable that this growth would slow down at one point. That is the way economic markets work, the fluctuations, stagnation and prosperity levels fluctuate on a daily basis and it is interesting to think about where the next highly prosperous could be. The prominence of Africa as a continent in the coming years is certainly going to increase. The African economy is rife with potential for expansion and growth, a lot of the natural earthly resources are untapped and surely this will be the continent where the next economic boom will occur. Investment is something that is essential to keep the economy on the move. There are a lot of investors out there but the current economic climate is making the decision making process that little bit tougher. People aren’t willing to part with their money unless they are sure of gains in the short and long term, which of course is easier said than done. If you were to seek the advice of investment managers such as Brett Lankaster, he would tell you that investing is a foolproof method of increasing prosperity, providing you are well enough informed. The disruption in the banking industry post 2008 has had a detrimental effect on the global economy. Currently restructuring and regulatory measures are still being implemented to ensure that the antics of 2008 don’t happen again. There are so many variables when it comes to the banking industry, it is therefore essential that governments get the regulations and rules right and fair for both the consumer and the bank. When you address the question of stability you must say the economy is relatively sound but growth is tough to come by, this will come with time and planning but I am sure the world economy will stabilize properly again soon. About the author: Tony Thomas has been writing many articles in recent years about the economy. He has a wealth of writing experience and his posts try and stimulate questions and further discussion.